GIVEAWAY and Scary Mommy Book Readings! Children’s Book Event on Sunday at the Jewish Literary Festival – Discounted Tickets Include a Book! 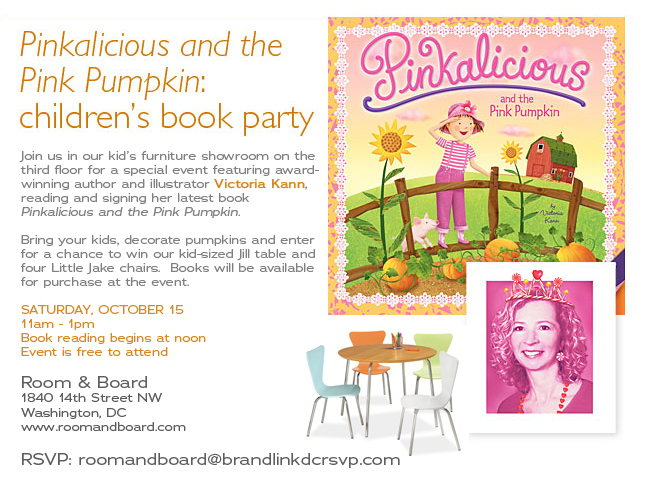 Pinkalicious Event on October 15 at Room and Board – Free Fun!